One of the essential parts of any property is a fully functioning guttering Adelaide system. 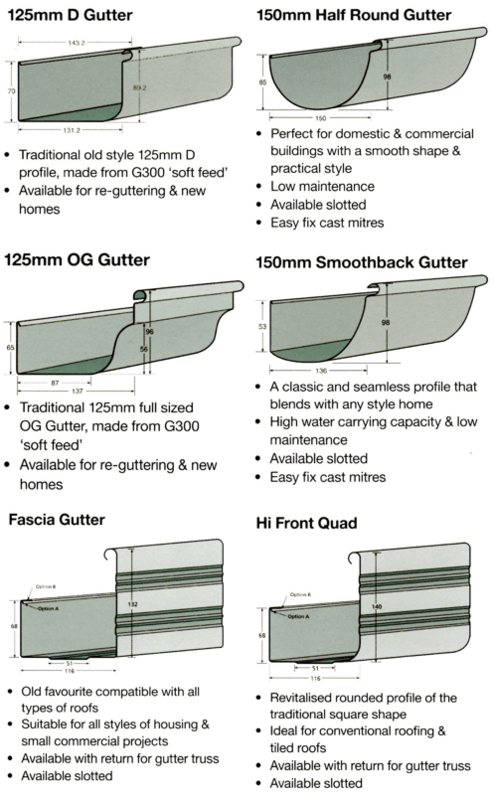 Eco Gutter and Roofing offers help and guidance in choosing a suitable guttering system for any home or property. We’re certain to have a style to suit any property. If you’ve noticed that your current gutters are leaking or even overflowing, there could be some serious underlying issues that need addressing. Your downpipes and gutters may be clean, yet persistent leaking and overflowing indicate the need for a gutter assessment. Our team here at Eco Gutter and Roofing proudly supply and install BHP Colorbond® guttering Adelaide with several profiles available to suit any property. Damaged, aged and rusted downpipes and gutters, if not repaired or replaced, can lead to leaks, water damage and even flooding into your roof and home. No only that, but a rusted gutter can be hazardous for anyone who might be waking underneath when it decides to drop. Whether you need just simple gutter maintenance or emergency repair, we’re the professionals you can rely on. By contacting us for your free guttering inspection, our experienced roof plumber can identify any problems and devise a plan of action to address your situation. We have a vast and cost-effective product range to suit all types of repairs and gutter replacement Adelaide property owners require. If your gutters are neglected, they can become huge problems in the long run, either to your exterior or interior. If gutter replacement Adelaide is a priority you haven’t yet seen to, then call Eco Gutters and Roofing for hassle free repair and replacement solutions. We’re more than happy to assist you with all types of gutter and downpipes Adelaide requirements, be it residential or commercial. We proudly supply and install BHP Colorbond® guttering, with several profiles available to suit any home or business. We also offer a fully backed, BHP 25 year warranty on Colorbond® products along with a 10 year workmanship guarantee. Whatever gutter repairs you need, you’ll have peace of mind knowing that Eco Gutter and Roofing get the job done right. There is nothing quite as taxing as having to deal with severe roofing and guttering damage. Without the proper knowledge and training, repairing and replacement of gutters and downpipes can feel completely overwhelming, so take the stress of the situation and hire a professional to take care of the job for you instead. Take advantage of our cost-effective products, services and advice for all your gutter and downpipes Adelaide needs. We pride ourselves on providing quick and comprehensive assistance to anyone needing downpipe or gutter repairs Adelaide wide. Care for your home by getting the best advice to conserve and safeguard your gutters. Get in touch with us today for a FREE assessment.